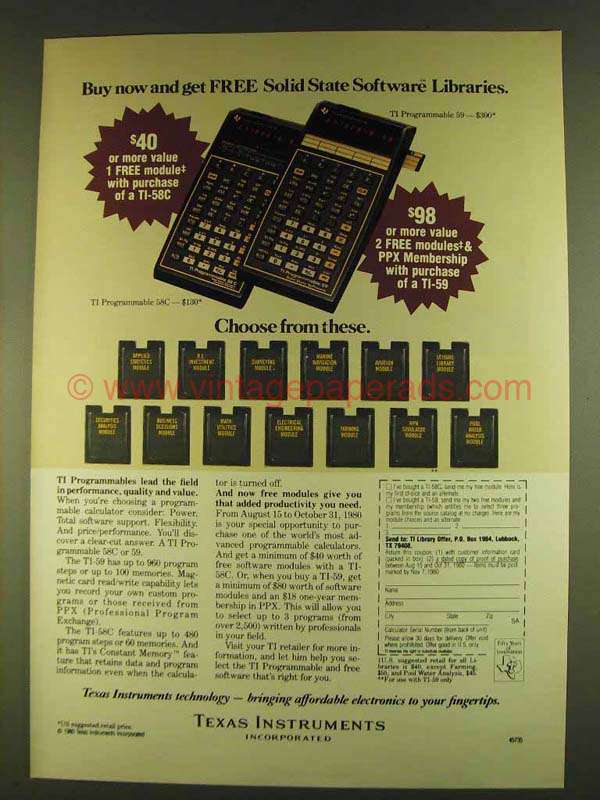 This is a 1980 ad for a Texas Instruments TI Programmable 58C and TI Programmable 59 Calculators! The size of the ad is approximately 8.5x11inches. The caption for this ad is 'Buy now and get free solid state software libraries' The ad is in great condition. This vintage ad would look great framed and displayed! Add it to your collecction today!